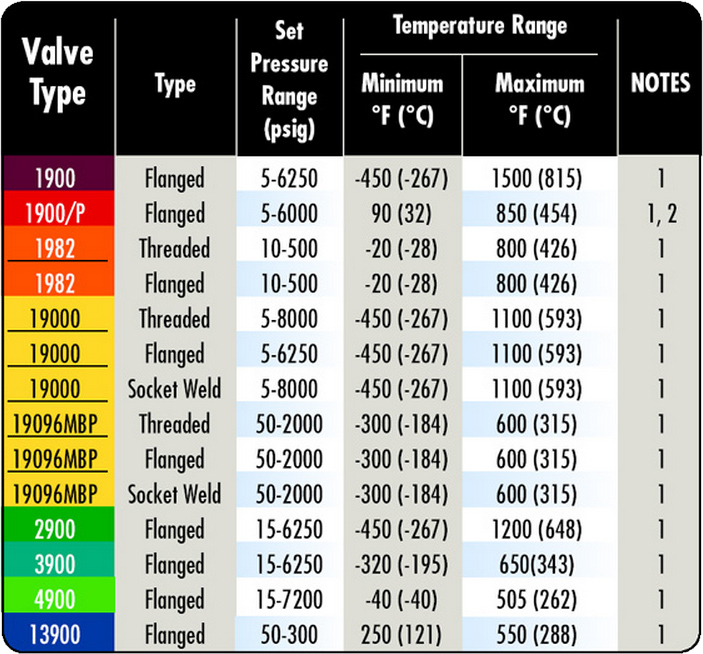 Gaskins Co., Inc. Pressure/ Temperature Ranges | Gaskins Co., Inc.
ratings by size and material selections. 2. Used for steam and organic vapor applications only. 3. Used for liquid applications only.